Landree loves her grandparents! Up to the night that my momma and daddy got here she would say, "I so excited! See Mi, Poppee, and Zoe!" She especially loves their little Maltese, Zoe! 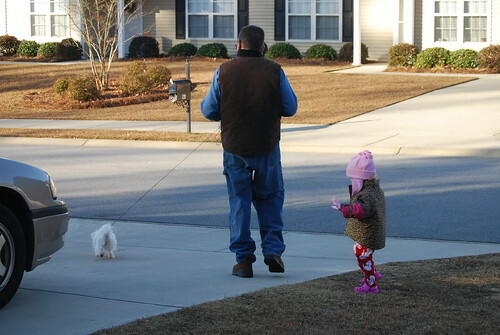 So first thing on Thursday morning she wanted to on a walk with Poppee and Zoe. They just walked to the end of the road, but it was pretty chilly. 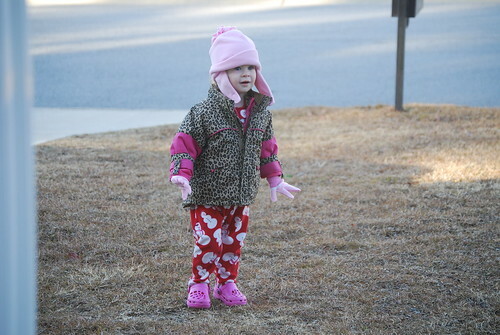 I didn't take time to match anything she was wearing or even change her out of her warm pj's. They were ready to go! I love the look on Landree's face. 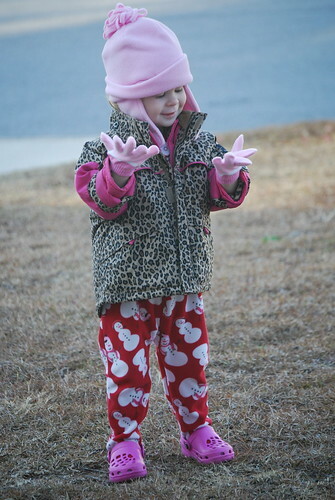 And this was the first time for her to wear gloves with fingers. She liked them. I agree with Landree -- Grandparents are the best! Cute pictures! P.S. I ordered my first Studio JK Vinyl last night. I can't wait to get it in the mail! Thanks again for posting it! 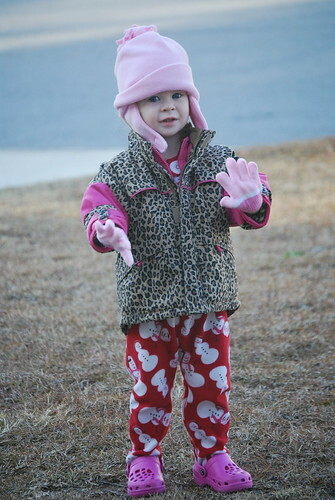 I am sure that Landree had a great time with all the attention from Me and Popee.